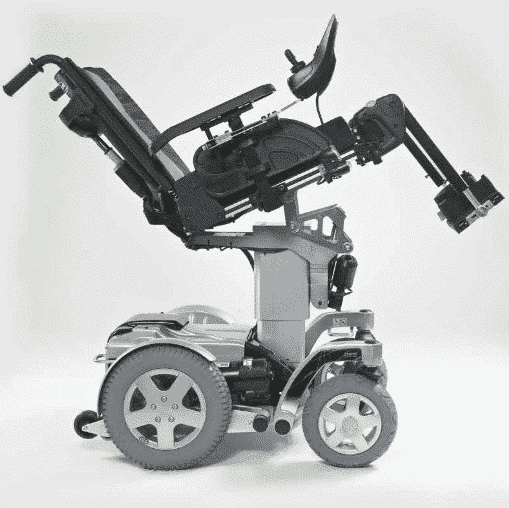 The Storm 4 powerchair from Invacare really tackles some of the most complex needs in customisation and functionality. 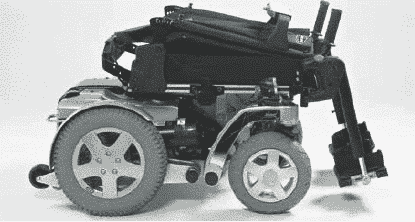 Using unique seating components and being made from high quality materials Invacare really have delivered a robust, completely adaptable user friendly powerchair. The Storm 4 powerchair has been designed to accommodate some of the most complex needs and with a sleek stylish design it’s a pleasure to drive. Using a modular concept allows the Storm 4 to adapt to a range of requirements. 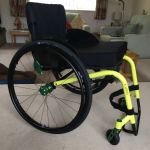 Being able to select the type of motor and speed allows the Storm 4 powerchair to be tailored to your needs for example, if you will be using it mainly indoors or mainly for outdoor use. Different seat types are available including the ModuliteTM adaptable seating system as well as the Easy-AdaptTM seat which also allows for a range of adaptations and support. The seat itself can be lowered further than most power chairs by using the telescopic seat lifter the seat height can reach 400mm which is ideal for table access. Being designed with the phrase ‘’easy to deal with’’ in mind, the Storm 4 powerchair can be adjusted simply and effectively. The seat and back rests can change width from 380 to 530mm using one simple tool to adjust it. The batteries are a breeze to remove and the electronics are easy to access meaning servicing is stress free. 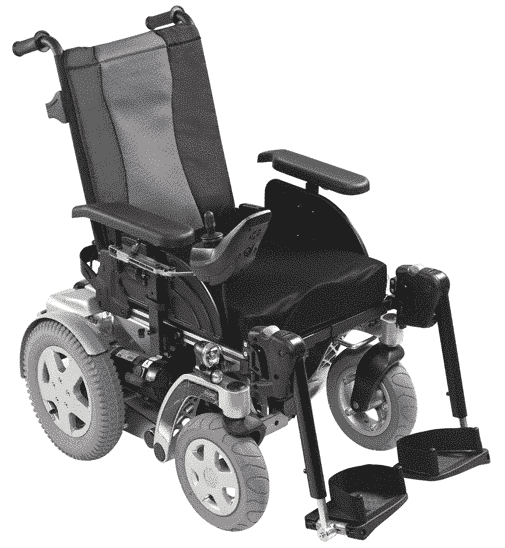 The Storm 4 powerchair has the powered features that you would expect from a high-end chair; a seat lifter, powered recline and tilt as well as powered leg rests. 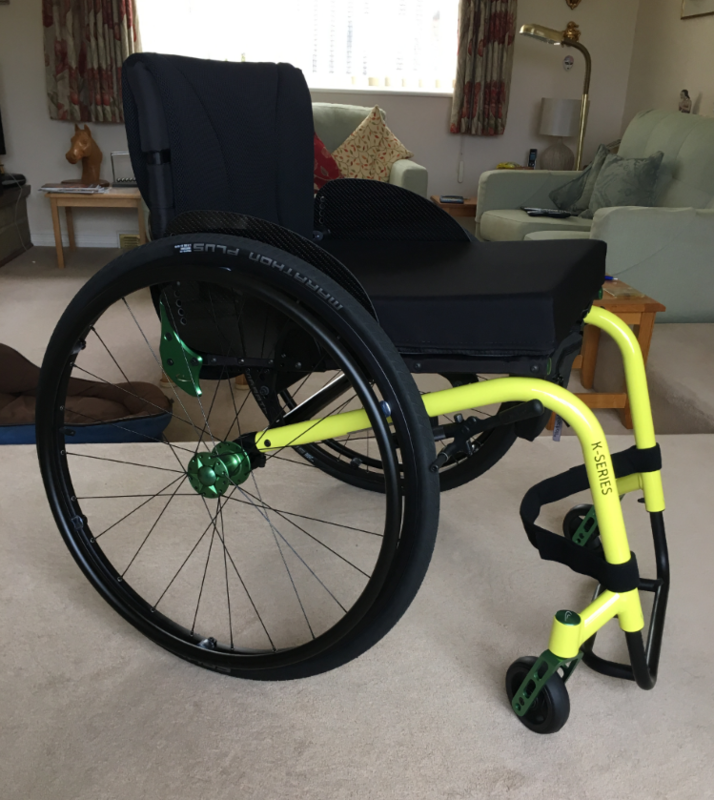 A really great feature of the Storm 4 is that if at a later date your needs change, the modular nature of this powerchair means different features can easily be changed in and out to adapt to your circumstance. Elegant LED lights on the front and back give visibility and safety when driving. 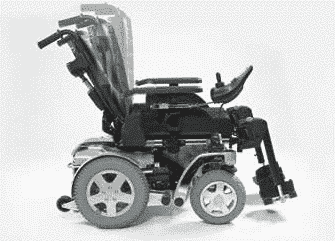 The front arms of the powerchair can be coloured and added to by side applications. As well as the shroud coming in different shades, the colours of the fabrics used are also easily swapped in and out. Being designed to be both used inside or out there is no need to ever change the wheels when changing between locations. You would think the low nature of the Storm 4 means that climbing kerbs would be a struggle, think again! Being able to tackle 6cm high kerbs and slopes of up to 20% shows this really is a chair for getting out and about on. If there is still trouble there is an optional kerb climber to help with those larger obstacles. One charge will take you an impressive range of 22 miles! As well as being able to reach a top speed of 6.2mph the Storm 4 really shines in its class. If you have any questions about the Storm 4 powerchair from Invacare please contact us or call into one of our showrooms in Essex and speak to one of our friendly staff about the Storm 4 powerchair or any of the powered wheelchairs in our range.